Microsoft has announced it'll end support for the Internet Explorer 8 web browser within 18 months, as it pushes users towards the most recent versions of the software. According to recent figures from Net Applications, the browser still runs on 20 per cent of all PCs running a desktop operating system, while still accounting for around six per cent of all web traffic. However, according to a blog post on Friday the firm said "only the most recent version of Internet Explorer available for a supported operating system will receive technical support and security updates." That means users will still be able to make use of the 5 year-old browser, which launched alongside Windows 7, but won't receive any support from Microsoft. 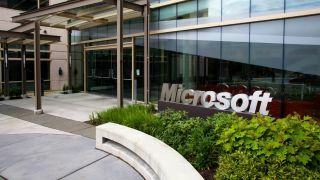 The move will come into play on January 12 2016, with Microsoft keen to get everyone on to the latest version of its browser, currently Internet Explorer 11. Versions 9 and 10 will also see reduced support. IE 9 will only be supported on Vista and Windows Server 2008, while IE 10 will only be supported on Windows Server 2012. On these platforms, IE 11 cannot be installed. The death sentence for IE 8 follows the retirement of Windows XP, which finally reached the end of its supported life cycle in April this year.